Wild Turkey 101 Rye is more than a solid pour – it’s a Rare Bird personal favorite. Those unfamiliar with this blog might assume I’m referring to vintage WT 101 Rye from years and years ago. Nope – I’m talking about the same WT 101 Rye you find at your local bottle shop. Truth be told, my experience with Wild Turkey 101 Rye is extremely limited in comparison to WT 101 KSBW. After all, finding older bottles of any WT rye expression isn’t nearly as easy as finding older bottles of WT bourbon expressions. But of the WT rye whiskeys I’ve had to date (from the mid-2000’s onward), I’ve found only delight in the unique Kentucky straight rye profile that Wild Turkey does so well. To break it down a little further, most of my Wild Turkey 101 Rye bottles have been pre-2012 (prior to the temporary allocation/discontinuation). I’ve had only one post-2012 101 Rye bottle, a 2013 liter, which I reviewed last December. In my tastings, I haven’t found many differences between the 2013 and 2011 releases – that is to say that I’ve enjoyed them equally. As for the other WT rye expressions (Russell’s Reserve 6, RR Single Barrel Rye, and WT 81 Rye), I’ve tried various bottlings up to 2016. While I’ve found the 81-proof rye best for mixing, both Russell’s Reserve rye expressions are quality pours. So that brings me to the subject of today’s review – a Wild Turkey 101 Rye bottled in 2017 (special thanks to a local whiskey enthusiast for the find). Not only is this 2017 WT 101 Rye release four years apart from the 2013 101 Rye I previously reviewed, but according to brand ambassador Bruce Russell, the great majority of this whiskey was distilled at the new production facility (launched in 2011). I’m genuinely excited to not only experience a more recent version of a personal favorite Turkey expression, but one that was (primarily) distilled at the new facility in Lawrenceburg. Overall: Wild Turkey, you never fail to surprise me. Not only do I find this 2017 101 Rye a satisfyingly tasty whiskey – it exceeds my expectations. At its core, the dominant profile is the standard Wild Turkey 101 Rye I know and love, but there’s something more here – something richer, yet finessed. For starters, the nose, while sweet and laced with fragrant spice, is tempered with a distinct oak presence. It seems a little more oak-forward than previous releases, though surely not the level of oak you’ll find in Wild Turkey 101 KSBW. The mouthfeel is remarkably creamy – more so than I recall with the 2013 101 Rye. As for the finish, there’s initially vanilla and oak, but those notes diminish quickly, allowing mint, citrus, and pepper to leave a lasting final impression. I’ll have to say, if this is any sign of what’s to come from Wild Turkey’s new production facility, I couldn’t be happier. For such a relatively young whiskey to have so much going for it – I’m honestly impressed. While certainly not as complex or engaging as Russell’s Reserve Single Barrel Rye, this 2017 WT 101 Rye has about everything one could want in a Kentucky straight rye at its price. It’s bold enough for cocktails, flavorful enough for sipping neat, and has more than enough character to set it apart from other whiskeys in its class. If you’re looking for a reliable straight rye whiskey that’s sweet, spicy, and commands a second pour, Wild Turkey 101 Rye won’t let you down. I hope you can find it more easily now. Very pleased with this latest batch! I love it! As you said Russells Single Barrel is more compelling but there’s something wonderful about the 101 also. I found a 1.75 liter last month~ it doesn’t pop up much around here (Connecticut). I guess they save their rye for the six year and single barrel? Those actually are pretty consistently on store shelves. 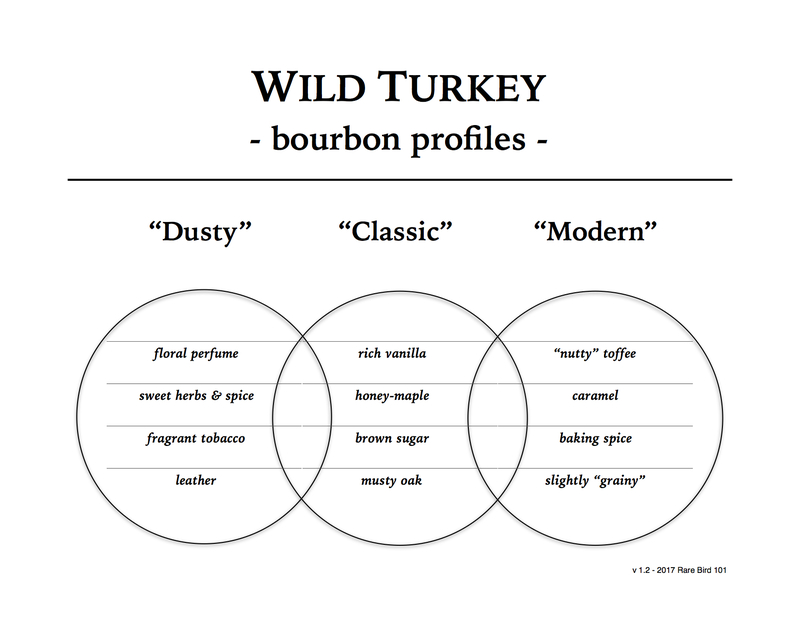 Wild Turkey produces significantly less rye in general. I’ve never seen a 101 Rye handle. Were you referring to WT 101 KSBW? Thanks for commenting! Can you please stop talking about this Wild Turkey product? They will jack the price, if it ever becomes popular. I love this stuff as much as I love WT 101. ROI is unbeatable ! With the new $23 Old Forester 100-Proof Rye, a price raise on WT 101 Rye would be incredibly foolish. That said, it would keep it on shelves for a while.